Yesterday saw the launch of several new Apple services that have analysts and experts wondering how they will appeal to consumers. Do any of them tempt you? Apple took a big step outside its previous comfort zone at its event in California yesterday evening, moving decisively into the services, games and content areas it has previously dabbled in. There were no hardware announcements outside of social media yesterday. Instead it was all about payments, content, celebrities and games. 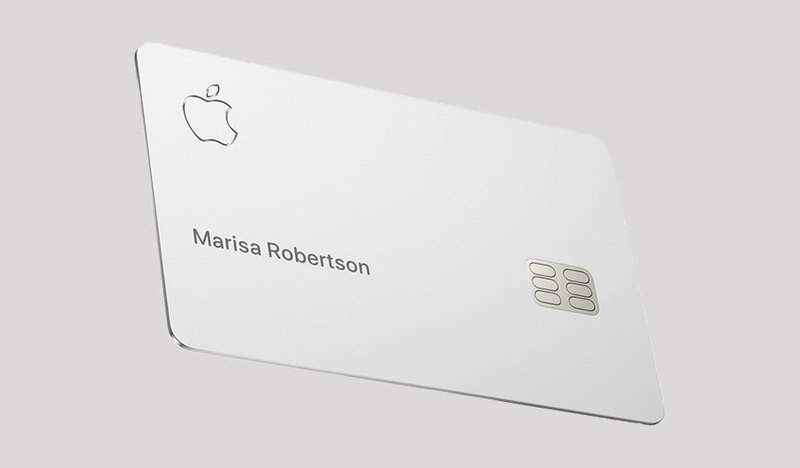 Perhaps the biggest move from Apple was the launch of its own credit card. That’s just in the US for now, with no indication of whether Apple will expand that into the UK, but it’s a smart move by the tech giant to expand its offerings while further locking users into its ecosystem. Make no mistake: keeping users in the ecosystem is a huge part of any tech platform’s strategy these days. Once you have the devices – the phones, the laptops, the smarthome kit etc – it’s harder and harder to switch away as you’re so heavily invested. Making services work closely with hardware is the holy grail. The Apple credit card is both a real card – posh titanium – and a virtual one, tied closely to the iPhone with its AI-powered app that Apple says will track your spending, match your purchases with the retail outlets via Apple Maps and show you colour-coded graphs of precisely where your money is going. Apple was also touting the security of the credit card, both real and virtual – for anyone security-minded, this is particularly interesting. Apple already handles payments in a much more private way than Google’s Android Pay does, keeping the transaction details private between the retailer and the user, while Google Pay collects purchasing data and stores it in the cloud. There’s no card number or CVV code (the final three digits on the signature strip) on the Apple card – it’s designed to be used with the phone. That’s genuinely innovative, and will be watched with interest. Apple is moving much more decisively into journalistic content with its News+ offering, billed as ‘an immersive magazine and news reading experience’. Apple says it will offer more than 300 magazines including premium titles such as National Geographic, Elle, Fast Company and Conde Nast Traveler. It also has two newspapers signed up – the Wall Street Journal and the LA Times. With a subscription cost of $10 a month, it’s easy to see how this is a tempting package for consumers, but analysts have been scratching their heads over what’s in it for the publishers. The Wall Street Journal, for example, is a premium subscription publication, costing $30 a month, so being on the News+ platform will undoubtedly mean some people who might have shelled out for a full subscription will instead cut their costs and read the paper via their iPhone’s News+ app. And then there are the films/TV programmes and the games. The launch in California yesterday was awash with celebs, including legendary director Steven Spielberg and all-round big hitter Oprah Winfrey. Again, this has the analysts scratching their heads: with big, well-established players Netflix and Amazon throwing money at making original films, dramas and documentaries, what can Apple bring to the table here? Why would someone already shelling out for those two subscriptions, plus cable (in the US) or Sky, want to add another content provider when there are already nowhere near enough hours in the day to watch the raft of content already available? If you’re an Apple user, do you see yourself signing up for any of these new services as and when they arrive in the UK? And if you’re not an Apple user, would any of these encourage you to switch over? I don’t believe in paying hefty monthly subscriptions for digital content. If I want access to any of these services, I sign up in low-cost countries such as the Philippines or Brazil. For example, I’m currently paying around £1.50/month for Amazon Prime Video via my Brazilian SIM card, instead of £6/month for a UK-based subscription. With these digital services, the content available to you is based on your location (from your IP address), not the country where you pay your subscription. I used to pay for Netflix with my US Amex card, but then Netflix hiked their US prices to become even higher than their UK prices. So I switched my subscription to my UK Amex card, watched the remaining episodes of programmes I had been watching, and then cancelled the service. These services are priced in each country according to what consumers can afford, not according to cost. It’s a big rip-off, and where prices vary significantly within the European Union, it makes a mockery of the EU’s Single Market. I do pay a monthly subscription for Apple iCloud but have no intention at present to pay for other services offered by Apple or anyone else. I have resisted paying an annual subscription for Microsoft Office and am still using Office 2011, which serves my needs, except that Outlook 2011 no longer works with one of my email accounts. I have just been offered free access to Office 365 as a committee member of a society. That should let me know if it’s worth paying a monthly or annual subscription. Regular subscriptions look small but soon mount up. Office 365 is great value and well worth looking at – you get all the most up to date versions of the Office programs, which means also that you’re up to date with the security patches, too. Plus you can install the apps on all your devices – laptop, phone, tablet. But yeah, I hear you on small subscriptions mounting up. I can certainly see these advantages, Kate, but I assume that you cannot work offline, which would sometimes be a nuisance to me. I might have to start making more use of the equivalents of MS Office applications (e.g. Pages rather than Word) as a workaround – at least until Apple decides to move to cloud-based software. These days there are a lot of free alternatives to using paid-for office software. A member of our charity circulates a spreadsheet weekly and very soon discovered that not everyone has MS Office. I suggested that the recipients should install a free software to read the Excel files and that has worked fine for years. If I was doing the job I would circulate a pdf instead. I agree that PDF’s are much more likely to be easily read, not least because free readers are usually available from the owners of that data format and because the rule for this format have been openly published. An excellent point, George, and one reason why some have devised ways of recording directly from HDMI sources and hacking DVDs and Blu-Rays to their own media servers. I had access to Spotify for six months through my mobile provider. It is impressive being able to listen to what you want when you want, but I was not tempted to subscribe at the end of the trial period. The way we are heading, companies want to maintain a steady income and I don’t blame them. When I bought my previous car I opted for a purchase scheme because it worked out cheaper than paying cash. Within a year I was invited to upgrade to the latest model and carry on paying monthly. I kept the car for ten years as I had originally planned. Do you really need to own them, though? I definitely understand owning CDs, because you play music over and over, but Blu-rays/DVDs are just clutter that gather dust. How often do you rewatch a film or a box set? I’ve got all my old CDs – they’re basically hard-copy backups – and if I really want to buy an album I’ll buy the digital download and make sure those files are backed up. I also pay for a Spotify Premium account because I’ve got Echo Dots plugged into good speakers and so I can do voice control on them. And that way I listen to all kinds of music I wouldn’t go out and buy. Same with Netflix and Amazon: I don’t need to own the films and box sets I watch there. And with software, as I mentioned above, a subscription means that you’re always up to date with both features and security, and when you don’t need the software any more you just stop paying for it. I’m a fan of subscription for lots of things – though I do get annoyed when there’s a subscription on top of hardware you’ve bought. I’ve just got a Nest doorbell and if I want to add some useful features, it’s four quid a month: that kind of subscription is definitely more annoying. The question you pose is interesting, Kate. We have a large number of Blu Rays (almost all of which have been transferred onto a media server) but it’s not the Discs themselves that take the room: it’s the packaging. So we invested in a few flight cases with disc sleeves that hold 300 discs, which makes storing them very simple. The plastic boxes are recycled and the sleeves are filed separately. But I think yes; I believe you do have to own them. I recently watched M*A*S*H from start to finish, Frasier we watch from time to time, Drop the Dead Donkey remains a firm favourite and there are a quite a few gems – such as Not Going Out – that we need to own because they do, indeed, bear re-watching, and because you can’t trust that they’ll be available at some point in the future. Oddly, the quirky My Hero was never released on DVD (only series 3), but that’s an enjoyable watch and when online or broadcast TV fails you it’s good to have something tangible to fall back on. I agree with Ian. In the past, I had subscriptions with NowTV movies and with Netflix, but neither of those channels offer a very comprehensive back catalogue of classic and favourite movies. I also have friends who live “outside-the-steetlights” in rural Glos who don’t have the internet bandwidth that is needed for streaming services. Re the Wall St Journal as part of News+, I have read on another forum (don’t know if it’s true) that the WSJ will only be providing selected articles not the whole paper. It seems to make sense otherwise as you say who would pay 30 USD for a WSJ sub?